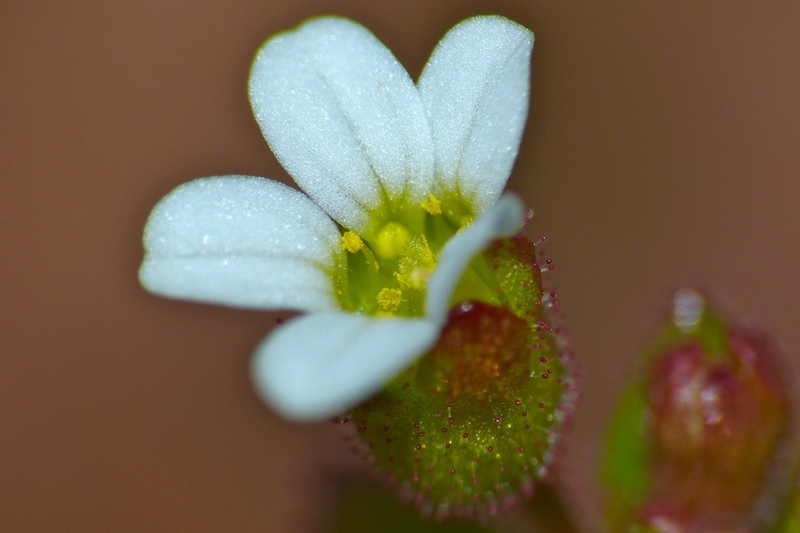 Rue-leaved saxifrage (Saxifraga tridactylites): growing, planting, caring. 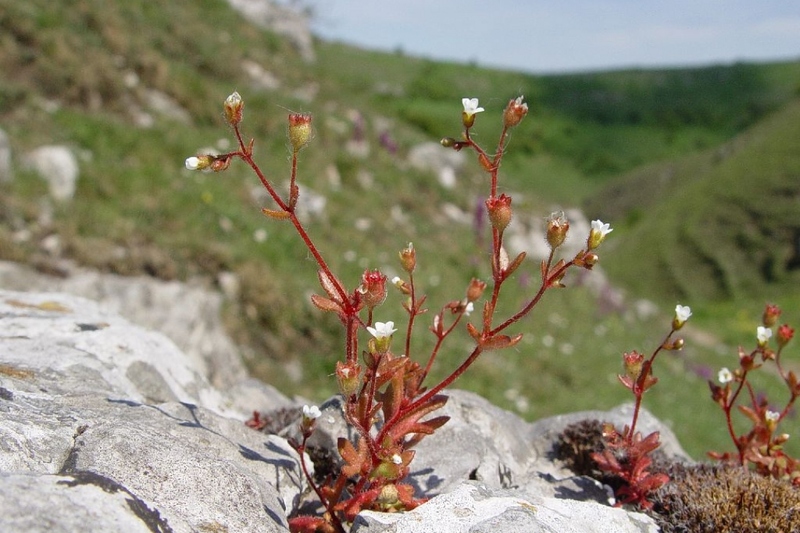 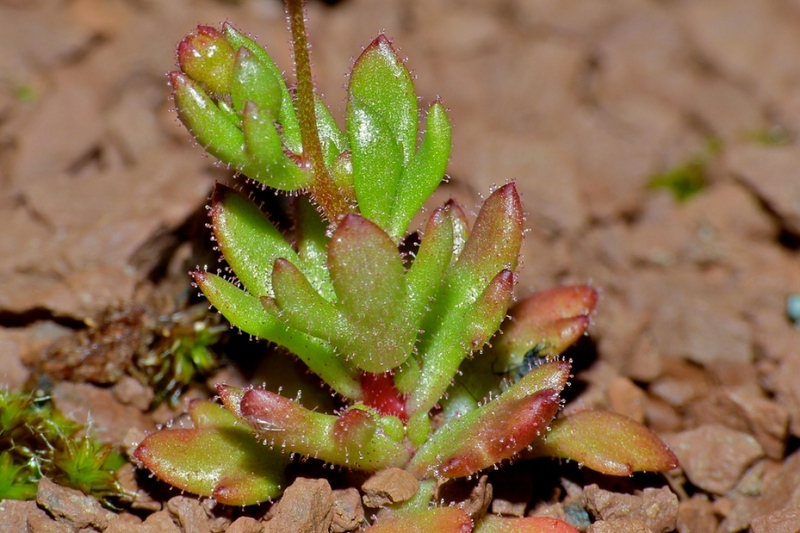 Rue-leaved saxifrage is an annual with distinctive, trilobed, fleshy leaves and red stems. 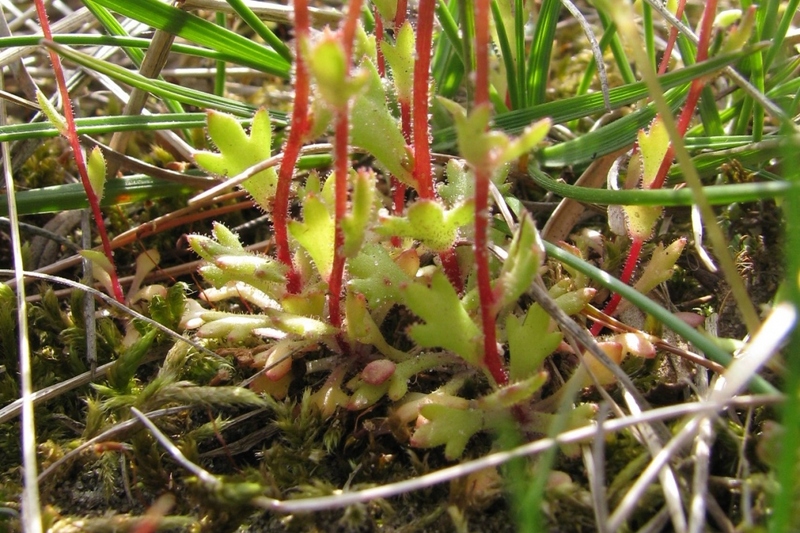 The stems, the leaves and the sepals are covered in numerous sticky glands.